Sears, Roebuck sold pre-cut homes from their mail order home catalog from 1908 - 1940. One of the ways to determine whether you have a Sears House is to look at the architectural details. Certain details can be traced to the Sears Home Catalog. 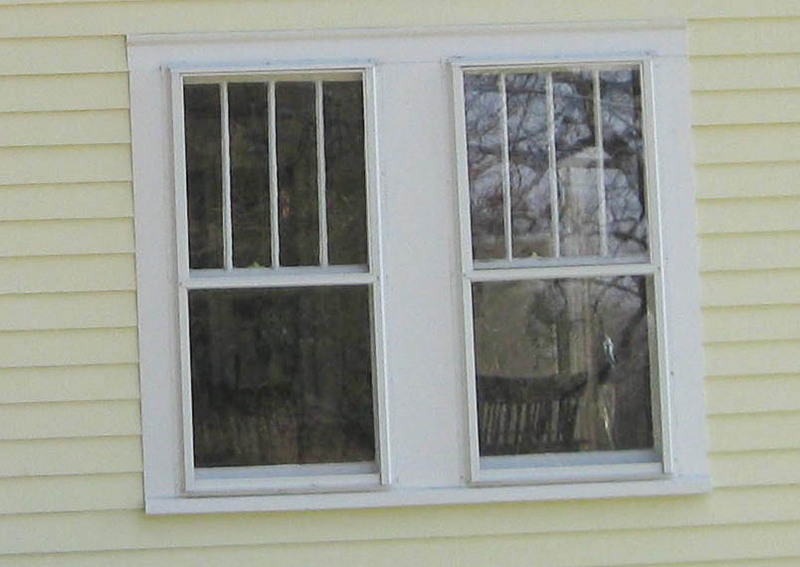 For instance, look at the unique 5-light windows in the house at 10 Medway Street in Norfolk, Massachusetts. I personally have never seen these windows at any home besides this one (but believe me I will be on the lookout for them!). These unusual windows are found in a number of Sears House Designs including the Winona, the Birmingham, the Olivia, the Walton, the Hampton, the Dundee, the Modern Home No. 155, the Uriel, the Saratoga, the Hawthorne, the Josephine, the Auburn and the Delevan. A 4-light version of the same window was also offered in house designs including the Sumner, the Clyde, the Modern Home No. 225, the Garfield, the Modern Home No. 177 and the Iona. 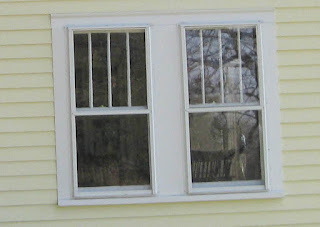 I tried to find a specific name for this style of window other than "5-light" but Sears didn't appear to name windows other than by basic description. This technique is not fool proof unfortunately. In addition to selling Sears Houses, Sears also sold building material. It is possible that a home that looks like a Sears home is just one that was built with Sears building materials instead of being an actual Sears pre-cut house design. What this does mean is that the home at 10 Medway Street, Norfolk is still in contention for being an authentic Sears House. There are still a few more tricks to help confirm this which we'll look at in coming posts. For many examples of Sears House designs and layouts see Houses by Mail: A Guide to Houses from Sears, Roebuck and Company by Katherine Cole Stevenson and H. Ward Jandl as well as Sears House Design reproduction catalogs from Dover Publications. The property at 10 Medway Street, Norfolk, Massachusetts is currently for sale and listed by realtor, Rose O'Connor. More information about the house can be found on Rose's website. Is Your Metrowest Home a Sears House?